For 20 years, Rhino Linings of Auburn has been Northwest Washington’s leading provider of precision-installed truck bed linings and rust-proofing services of the highest quality. Today, we also help residential and commercial property owners to fully protect their homes, buildings, decks and floors from foot traffic, vehicle traffic, chemical spills and water damage. 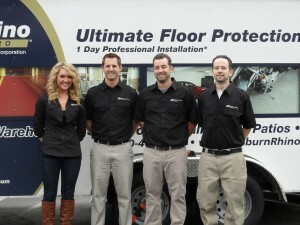 Our installers are fully certified and trained to the highest levels. Our products are backed by the best warranty in the business. What’s more durable than our products? Our customer relationships. Our customers come back time and again, truck after truck — or whenever they buy new property that needs to be protected. Our business is built upon trusted referrals, so we won’t stop until you’re 100% satisfied with our work. Our products are 100% VOC Free. What does that mean to you? Breathe easy knowing the air is safe during installation and the water supply is safe after we clean up.